O novo disco do quarteto mexicano Car Crash Sisters vive de contrastes e o tema muitas vezes sombrio de nos fecharmos sobre nós próprios e o processo de o enfrentar contra um título aparentemente inspirador como Sundance Sea não é o único que vamos encontrar quando o começamos a explorar. Kique (singer/guitarist): This was one of the first songs I wrote for the record. I wanted the whole record to sound spontaneous, I wanted it to be simple, in favor of a better live experience, and this song proves that. John (bass/synthesizer): About this song I can say that the drums were taken from the second recording session. I also remember that the first time I heard it, was when Pelón Cruz (former bassist) was still in CCS, so this was the first song I listened from the new album. Kique: Another early composition for this record. I knew that we wanted to try something different with this album, but I wrote this one inspired by our first songs. It basically keeps the chords and structure of our early music. John: This one was written by Pelón, Noel and Kique, but I never heard’em play it during the rehearsals. Kique: I thought this song was going to be a filler. In fact, I think we started playing it after we recorded it. We never paid too much attention to it, and never gave it enough time to define its structure, I believe that we actually improvised it when we recorded it! But in the end, we really liked it and decided to release it as the first single of ‘Sundance Sea’. John: We chose this song as the first single because it is different from the rest of the songs thanks to its ethereal sound. John: This is a very old tune that was meant to be played in a band that Kique and I had years ago. Thankfully, we could adapt it to CCS’s sound. Kique: This song is the responsible of why this album has been compared to the 90’s sound. I wrote it for a post grunge band we had between 2003-2008 and I always liked its structure and melody. Kique: Before CCS existed, I had this idea of making a shoegaze band, and this was my first attempt at writing something like that, so when we were working on new songs, I brought it back to life. However, we made it sound like some blend between grunge, shoegaze, noise and brit pop. John: This was going to be the album’s first single. It has a melancholic sound that gets destroyed at the end of the song. 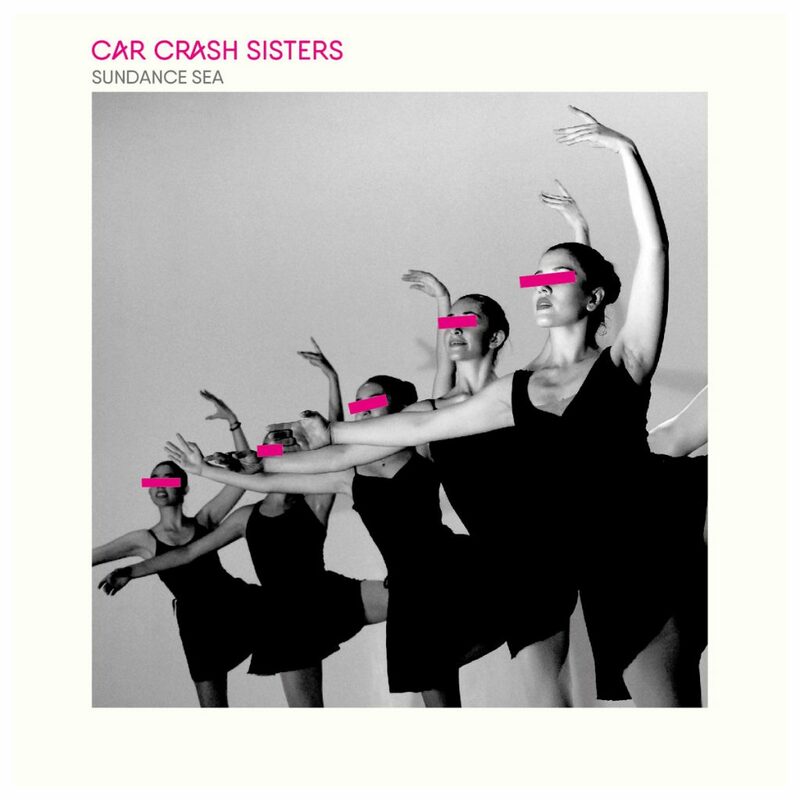 John: This was the song that introduced me to Car Crash Sisters before I was part of the band. Kique: It was written at the time CCS was called “Sundance Sea” (that’s where our album’s name came from). It had a different structure back then, I think it had a bridge that never convinced me, so I just made it much more simple with just a classic verse-chorus-verse formula. It was our very first single, in fact, it was recorded by Alma and me in one sitting. We did it in one afternoon because we wanted to participate in this contest to open for ‘A Place To Bury Strangers’ – we were so close to winning! We ended up in 2nd or 3rd place, but that’s ok, because we didn’t have enough songs at the time. We met a lot of great people who have been supporting us to this day. John: This track is very simple in terms of songwriting, I think that’s what makes it one of my favorites, especially playing it live. Kique: This one was written when I was recording another song. I started playing a couple of chords, I liked them, and there you go, a new CCS song. I wasn’t sure I wanted to show it to the band, it felt kinda cheap, like cheating: I wrote it in a couple of minutes and it is one of the easiest songs in our catalogue, but we liked it and proved that complexity is not necessary to create something good. It reconnected me with punk rock ideals and my origins as a musician. John: I consider that ‘Descension’ was the song that marked my return to CCS, because it was the only one in which I was involved during its process. I also think that it defines what’s next for CCS in terms of style, that’s why I thought it would be nice to use it as an album closer. Kique: I tried different things with this one. I wrote it with an acoustic guitar in its entirety and tried to make it very simple. Some parts demanded repetition, and some others bring a bit of relief. I wanted it to be heavy and soft at the same time, dirty and clean. I hate to sing it live.